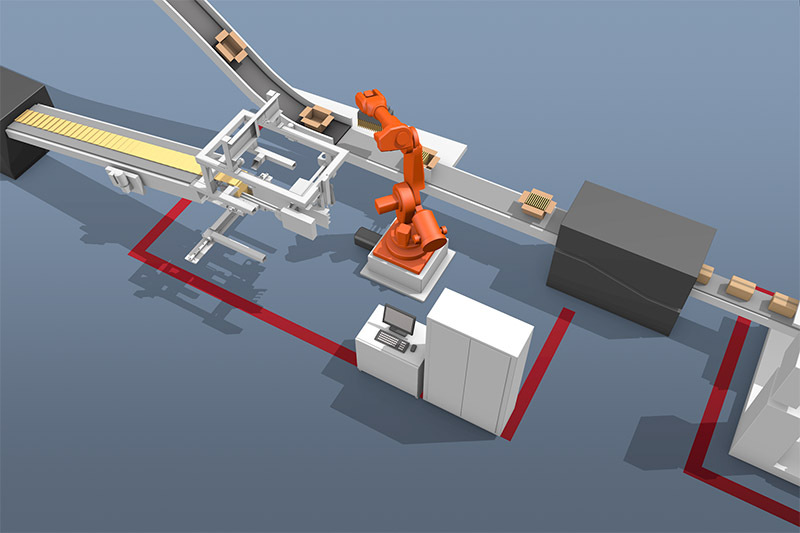 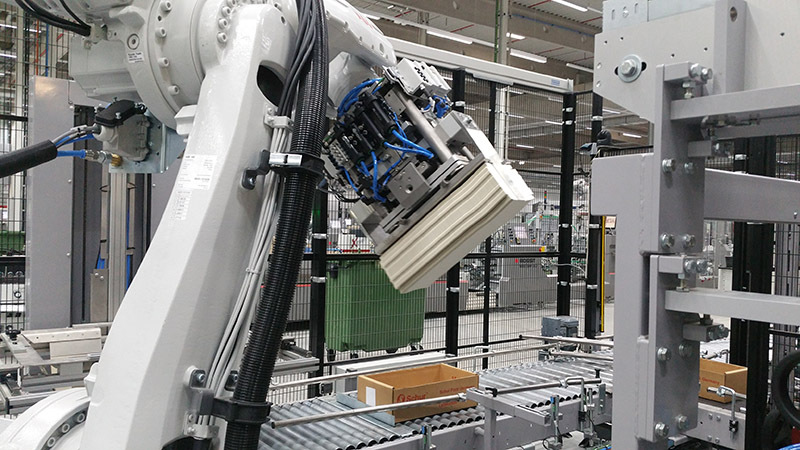 Automated case packing with up to 10% greater cartons per case! 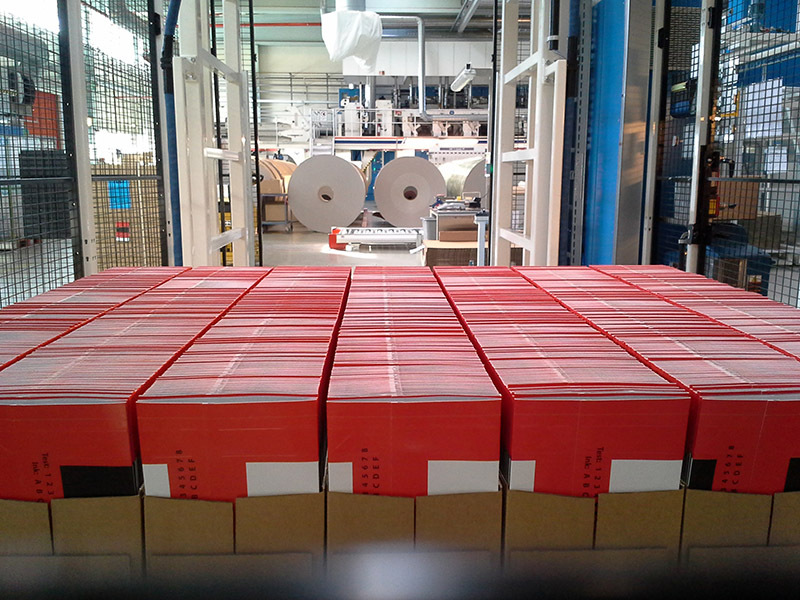 Pack folded and glued cartons into cases. 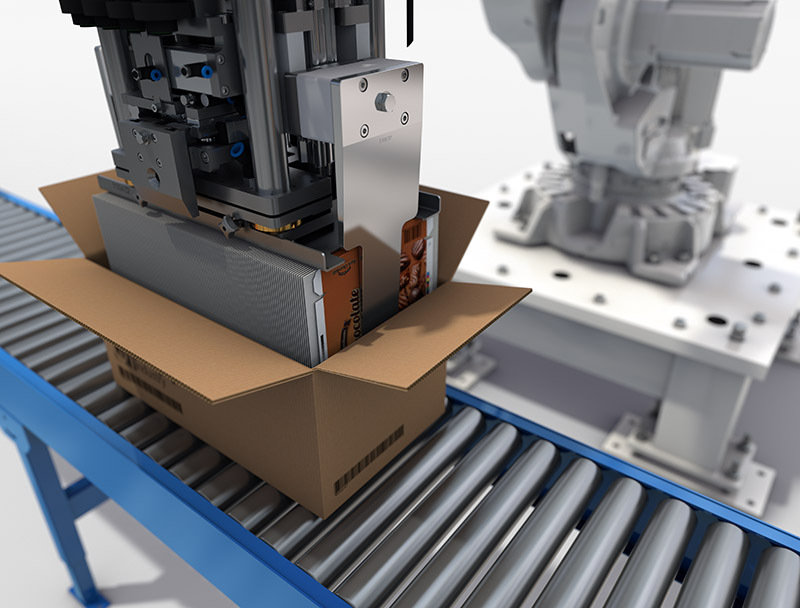 This system can be programmed to pack as much as 10% more packages in a case at the highest speeds and highest quality. 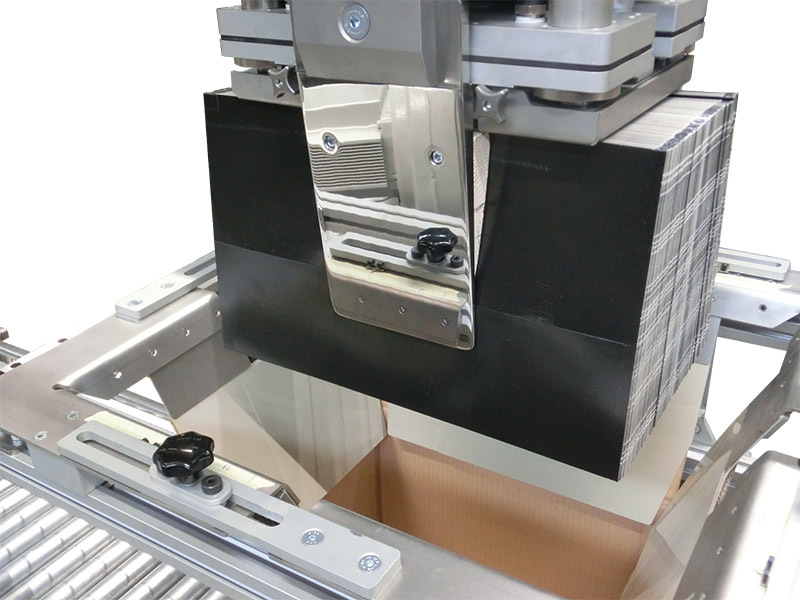 Optimum opening case fluff and carton opening force can be achieved.